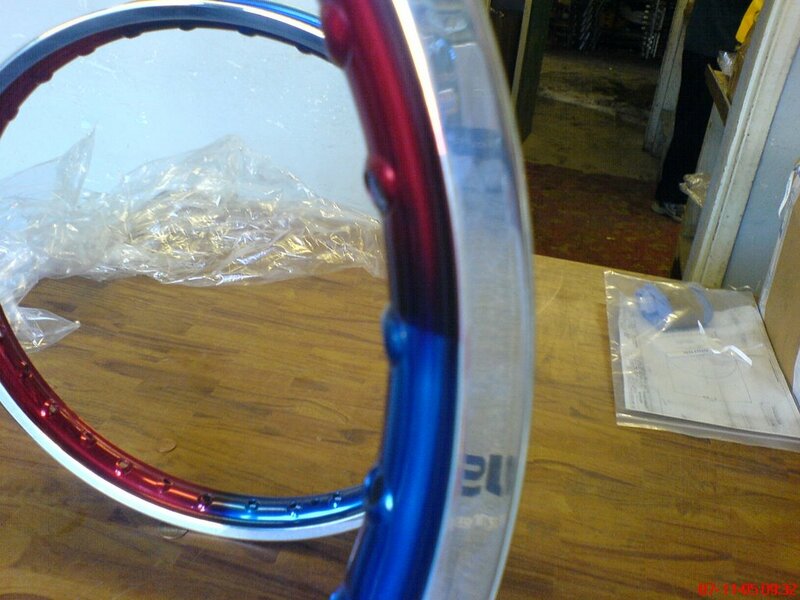 Blue and Red anodised Motor-X rims with the anodising polished off the edges afterwards. 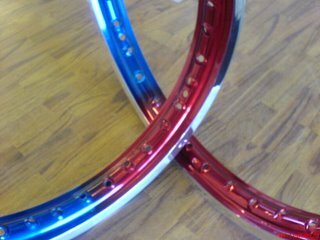 More paintball gun parts in various colours. 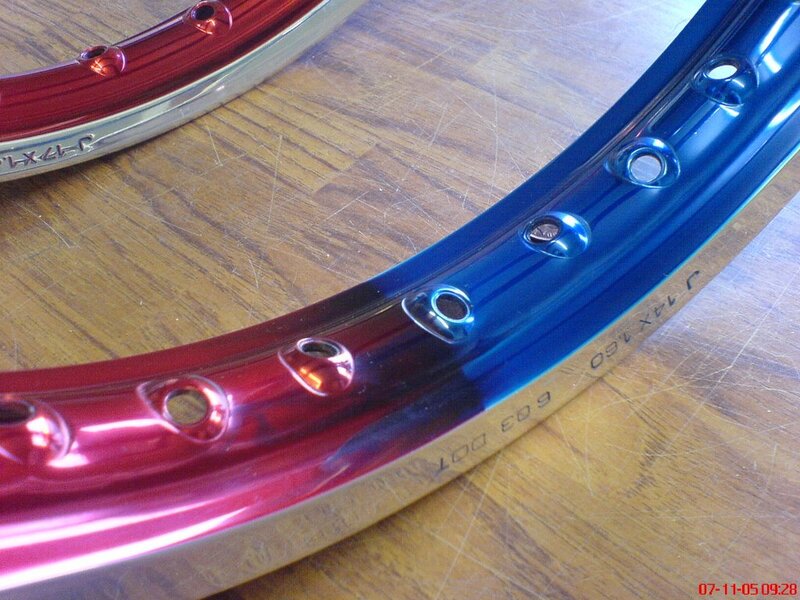 Some random bike parts anodised pink.